The 28-year-old Arsenal player has been withdrawn from the squad and returned to his club for treatment. 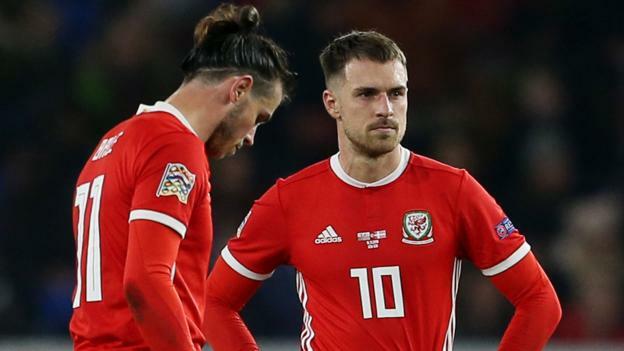 Ramsey did not feature in his country’s 1-0 friendly win over Trinidad and Tobago on Wednesday. “We have plan B and we’ve worked on it during the week,” said Wales manager Ryan Giggs. Wales have been boosted by the news that Bournemouth midfielder David Brooks has been passed fit after the 21-year-old missed Wednesday’s game with an ankle knock. Ramsey’s absence could also open up an opportunity for Matt Smith, Lee Evans or Will Vaulks to play a key role in Sunday’s match. Defender Ethan Ampadu and forwards Sam Vokes and Tom Lawrence also missed Wednesday’s friendly and are unlikely to feature against Slovakia.